Remember the last time you looked at something in wonderment? It was something so unique and interesting that it stopped you in your tracks. We aim to create those memories of discovery each day in our school activities and curriculum. It’s these types of experiences that makes a child associate learning with fun and ultimately develops the joy of life-long learning. You’ll find an amazing team of teachers and caregivers at each of our four preschools Richmond, Glen Allen, Hanover and Goochland. 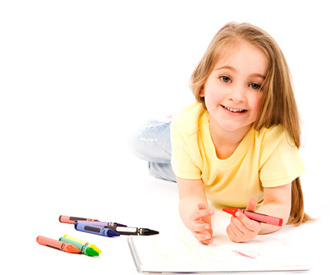 Each day we provide exciting learning activities for your little ones. In addition to teacher led lessons, self-direction is reflected in our classroom layout with distinct “discovery centers” that offer children a variety of choices and learning experiences. Each activity is designed to help children make connections in language, math, science, social/emotional and physical development. Bundle of Joy is not a daycare; rather a learning environment where children are engaged in learning in a setting specifically designed to meet the needs if the individual child. We’re not only early childhood educators but we’re parents too. All of our curriculum programs contain materials specifically designed to inform and involve you in the learning process within your child’s classroom. Parents receive newsletters, academic assessments and have multiple formal (and informal) opportunities for parent/teacher conferences. We understand and appreciate the importance of staying connected with your child and what they are learning. Together, we chart a course for your child with an on-going dialogue to share ideas and progress. In short, you’ll be constantly informed about the development and progress of your child. Welcome to Bundle of Joy where the love of learning begins!